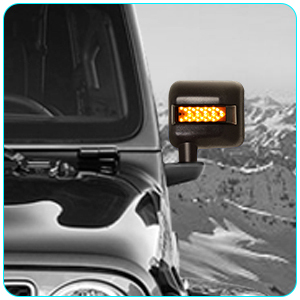 Specification:Aluminum heat sinks and mirror air flow,assists in maintaining optimal operating temperature and provides reliable off road protection. 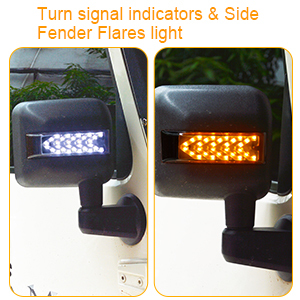 Upgrade with white sidelight rear view side mirror integrates driving function in white and turn signal function in amber. Application:2007-2017 Jeep Wrangler JK Unlimited Models. Factory mirrors are required to complete installation. 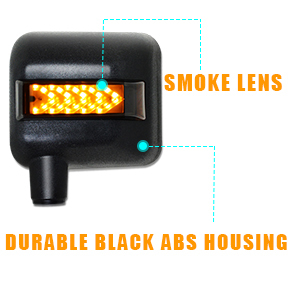 Lens:Smoke Lens,Operating Voltage:10-30V DC,Material: Durable Black ABS Housing; 1 Year Warranty. 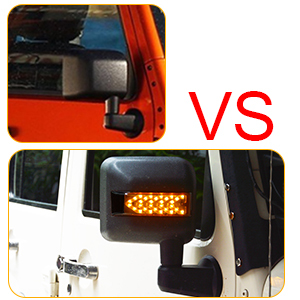 Package Included:2 * Side Mirror LED Lights Covers and one year warranty and support for one life. 2007-2016 Jeep wrangler JK JKU Rubicon Sahara Freedom Edition Hard Rock Sport Utility.